For a Magento store owner, it becomes very essential to manage the performance of store smartly. Imagine you have a website that has wrong shipping and tracking methods, lengthy checkout process, poor search options, clumsy site navigation and so on. For sure, you are going to loose revenue. Your customers will never turn back. Therefore after going through such e-Commerce issues of the present time, Velocity has made an attempt to design functional and feature-rich Magento extensions that deliver smart solution to design an ideal e-Commerce website. 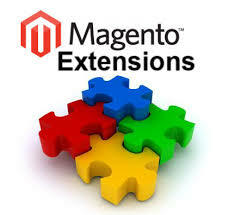 Listed below are a few popular Magento extensions that helps to improve the performance of your Magento websites. Abandoned cart extension enables admin to sent emails to the customers, indicating that their cart has been abandoned. With this module store admin can himself create an email template by inserting custom fields as customer name, link to their cart page and so on. This allows the store admin to personalize emails and make it easy for the customers to resume shopping where they actually left off. If a customer pulls out of the checkout due to the high pricing, you can easily entice them by sending discount coupons along with email reminders. By offering a percentage of discount, you give customers an option to go for multiple orders, which increases sales further. One Page Checkout extension replaces the default checkout page of Magento with more advanced and feature rich checkout process. This extension allows customer to log in via various social media options as Google+ and Facebook. Almost 14-15% of the carts get abandoned because customers hate creating new account. The quick and easy login simplifies the checkout process. The theme design of this module is highly responsive. You and your customers can easily access shopping cart website now at their own comfort. The mobile responsive theme allows customers to access websites via laptop, mobile or I-pads. The “feature rich admin panel” gives store admin the flexibility to “show” or “hide” fields as per requirements. With this feature it becomes easy to aggregate the overall checkout process collectively over a single page. This module is compatible with any language. By default, module comes in English language but you can convert it into a language of your choice with little efforts. Customers love it, especially if its about saving money on their purchases. Add an attractive feature to your website by allowing them to save with Magento scratch coupon extension. With the interactive features of this mocule, it becomes easy to drag customers to your website for online sales. You can offer discounted coupons, which the customers will get when they scratch and share their e-mail id’s with you. With this, you get the possibility of turning your visitors into customers with discount coupons. In short, if you want to target more number of audiences and diversify your online presence, then avail the benefits of above mentioned Magento extensions.